This was it. This was the one geographic extreme smack dab in the middle of our day full of geographic extremes that would determine success or failure. This was what our entire day was built around and this was what limited our available days to just a few weekends in the summer. It could be said that I spent more time figuring out how to reach Connecticut’s southernmost point than the rest of our 16 hour day combined. So of course it went off without a hitch. Right? There was a risk, of course of rain or choppy seas on our appointed day, which we couldn’t have done anything about. That wouldn’t have bothered me too much really, as weather is just one of those things. As you can see, we had no such issues on our Extreme Geo-Tour 2012 day. Here’s the important thing: Greenwich hates you. They really, really hate you. You don’t live in Greenwich so therefore you are an absolute wretched nightmare. They don’t want you in their town. Do not eat there, do not shop there and most importantly, do not enjoy any of their parks or – GASP! – beaches. During the planning phase of the Extreme GeoTour 2012, many, many months ahead of time, I checked the tidal charts for the various summer weekends that would work for us. 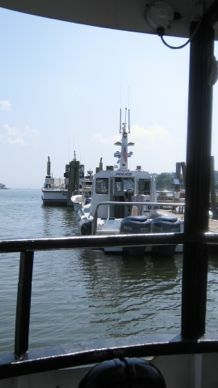 We were going to take the ferry out to the island and the ferry only runs a few hours either side of high tide. 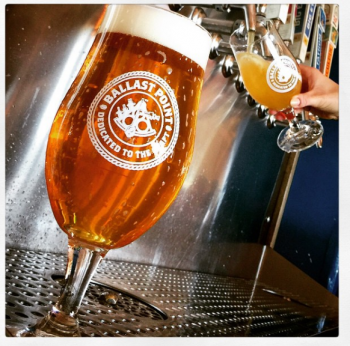 This narrowed our options, but we hit on a date that it would work in August. The next challenge would be to arrive at the dock on time, for the ferry only runs hourly. Wasting an entire hour on the docks in Greenwich would severely disrupt our record-breaking* attempt. *If any such asinine records existed. But lo! That was the easy stuff to figure out. For like I said, Greenwich doesn’t want the likes of sweaty non-hedge fund managers poking their unwashed toes into their Sound waters. We had to somehow secure a parking pass AND a ferry ticket for each of us. Sound easy? We arrived in Greenwich at the optimal time. I was pleased. Now we had two hurdles to get over. 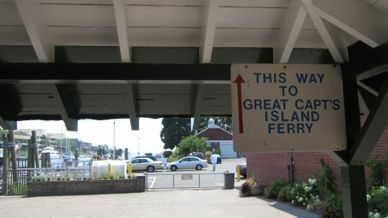 The easy one, the ferry tickets, are sold at the ferry dock. 10 bucks a head. Done. Hold on there Skippy, you didn’t think you could just buy a ferry ticket did you? Hahahaha, no. THIS. IS. GREENWICH. In order for our horrifying, rotten-corpse of a non-resident selves to hand over the $30 for the ferry after (ostensibly) paying $20 to park, we had to produce three non-resident daily park passes. Duh. So we’d just buy those passes here too, right? 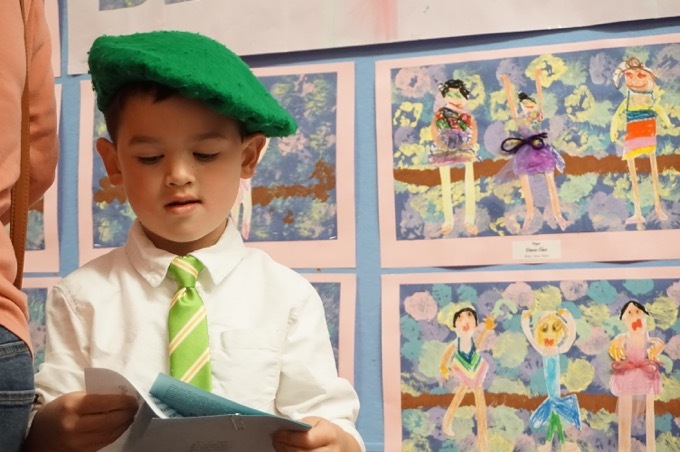 Town Hall, Mon.-Fri. 8:00 a.m.-4:00 p.m. May-Oct.
EGCC 9:00 a.m.-5:00 p.m. every day May-Oct.
WGCC 9:00 a.m.-5:00 p.m. Sat/Sun and Holidays June-Sept.
Do you love Greenwich yet? I had a secret weapon at my disposal though. A local! Yes, my good friend Caroline, who lived in Stamford at the time has a good friend Sue. Sue lives in Greenwich. 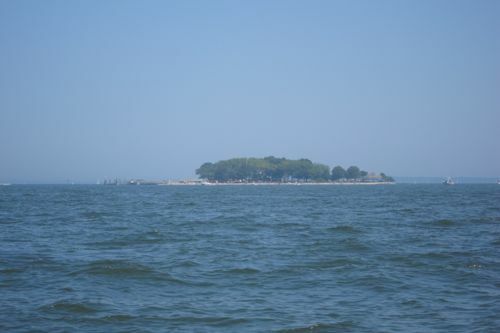 Caroline and Sue were planning on spending the day on Island Beach, which is a Greenwich town beach half as far out into the Sound as Great Captain Island. Could she not only figure out where EGCC or WGCC is, but also convince her friend Sue to help her pick up the three Daily Park Passes for us? She can tell you the hell she went through purchasing these dang things for us in the comments if she so chooses. (She lives in London now, one of the few places on earth more expensive than Greenwich. Cheerio to her then.) Suffice it to say, Sue was confused and annoyed by the whole thing. For our part, seeing these two women waiting on the dock for us, three $6 Daily Park Passes in hand, with 10 minutes to spare for the ferry, was wonderful beyond words. Having Caroline mock us for those ten minutes for doing what we were doing all day was also wonderful. Receiving the disapproving glare of Sue for those ten minutes was also quite special. So off they went, picnic basket and bikinis in hand to go lounge on Island Beach. And off we went to Great Captain Island to sprint for the southernmost point, sprint back to the ferry and head straight back to the docks. The ferry ride is about 23 minute long. It’s a lovely ride, as you slowly glide out of the inlet past impossibly expensive restaurants and $20 million dollar mansions. This is straight up Vanity Fair stuff if you haven’t discerned that for yourself. I chatted up the ferry-boy and explained our mission. Darnit. He had a point. Tom was out of the running, so to speak, as he is frankly too smart to attempt what Scott and I were about to do. (Keep in mind it was in the 90’s at this point.) So he would stay nearer the ferry and perhaps try to distract the ferry boys from leaving on time, should it come to that. The second we could start running, we started running. This was not fun running, as the first bit was across deep sand. It felt like we were running in deep sand. Like, for real for real. Through the woods, past a dozen or so rich people wondering if we were coming for their jewels and keys to their yachts. We ran on. The lighthouse was always visible, which helped our psyches. We ran across the uneven and quite frankly, dangerous sea wall thing. Every second mattered. Warden guy looks at his watch. Cool. 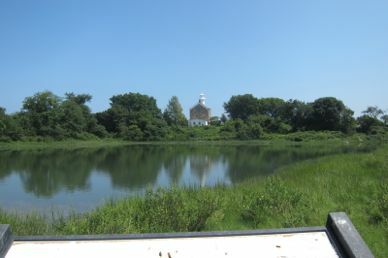 Through some wetlands and up the hill to the lighthouse, which is private (my page on the Great Captain Lighthouse here). 9/11 memorial. Snap a couple pictures. Seals down on the rocks. No time. Holy crap I’m out of shape. And my word was it hot. A look at my watch and – WHERE DID THE TIME GO?! We weren’t going to make the 15 minute deadline, and the 18 minute drop dead deadline was looking nearly impossible. Into the woods, past the rich people who had now gathered in a protective circle to better fend against these two running lunatic island marauders. “Oh dear! They are sweating so profusely!” cried one. There’s the ferry! It’s still there! Tom started yelling, “Come on! Run!” Surely they wouldn’t leave with us in sight… would they? Oh yeah. Greenwich. Of course they would. With pleasure. Back into the deep sand. I hate life. 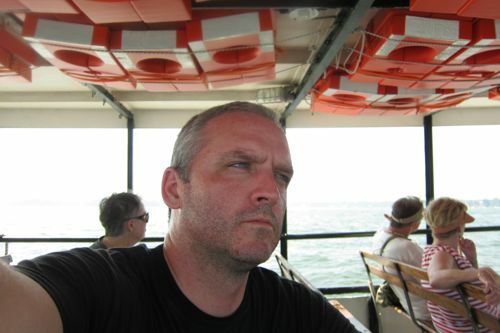 Me, back on the ferry. Quite warm. The state Supreme Court DID rule against the town and the people in that video, but Greenwich found loopholes to the ruling: Make it nearly impossible for non-Greenwich residents to access their fine beaches. But we did it! We beat the ridiculous system! As the ferry slowly made it back into port, I looked out at Island Beach silently thanking Caroline and Sue for their help. I profusely thanked the ferry guys for their understanding. My car was still safely parked at the Bruce. Success! At some point, while driving to our next destination, Tom began quietly mentioning what he was doing while we were running across the island. He helpfully pointed out a small little detail I’d overlooked in all my obsessive planning. Seriously? Seriously. At least we got to the lighthouse, right? Oh. What’s that? The true southernmost point of Connecticut and therefore all of New England was a mere 2 minute walk down the shoreline from the ferry dock? And our death-defying run, our terrifying of the natives, our brush with the law, our mild trespassing over the private lighthouse lawn, our rousting of the nesting terns, our near-abandonment at sea… our entire absurdist inanity was completely and totally unnecessary?! 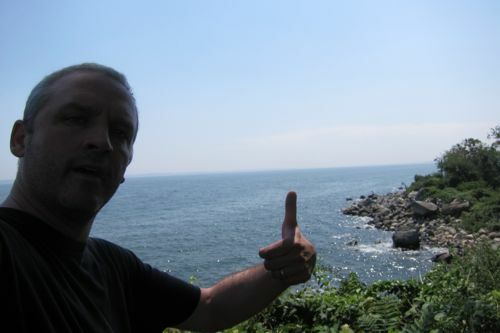 So, did I reach the southernmost point of Connecticut and therefore all of New England? You know what? Yes. Yes I did. I was geographically approximately close enough. 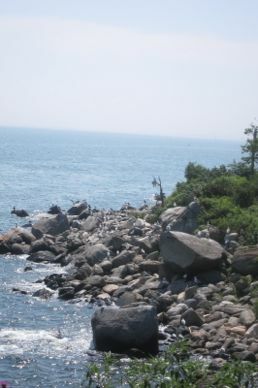 And frankly, I’m not sure we legally could have clambered over the rocks to the true southernmost point. We certainly SAW it as we ran off and onto the ferry. And the point we ran to was merely 20 feet more northern anyway. And, and, and… Shut up. It counts. Island Beach, for the lucky few. Like when Hoang and I went to the southernmost point in the US, at Ka Lea on Hawaii – we didn’t actually climb over the rocks to the waterline, and we’re perfectly fine saying we were further south than any human on US state land at that time. This was the same deal. 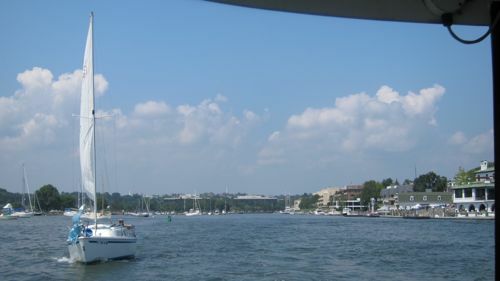 When we stepped one foot to the right of the ferry gangplank, we were totally more southern than any other person on land in Connecticut at that moment. And if you have a problem with that, I encourage you to sort out the Greenwich insanity and go nab the point yourself. Jerk. Oh. My. Gosh. I am so glad that you posted the link to this older post on your FB today as what a hoot to read! I can totally picture you and Scott running across the island, frightening the locals, and doing your best to reach your destination – in the heat and humidity no less. 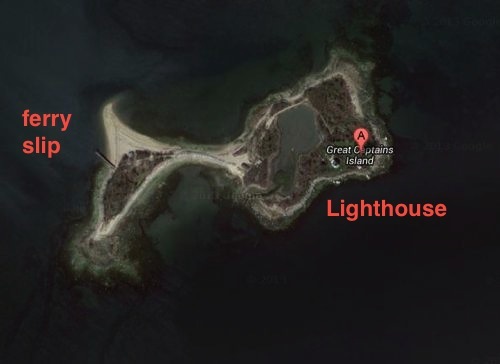 What an epic story and good on you for not-quite-but-almost-so-we’ll-count-it reaching of the southernmost point in Connecticut/New England! This was a highlight of a day of highlights. I absolutely believe it counted as making it to the southernmost point (12MC is all about convenience). More important, we can say we were some of the rarest of the rare: completely independent non-Greenwich residents — not even guests of Greenwich residents — that managed to crack their code, jump through their silly hoops designed to make it as difficult as possible for the public to have access without running afoul of court decisions, and trample across their pristine beach. I’d love to see their statistics on how many people manage to do that every year. It can’t be more than a handful. The most delicious part of this story was that we spent only 15 minutes there. In your face, Greenwich! We didn’t want to hang out with y’all anyway. Actually, kidding aside, Greenwich should be thankful for us. 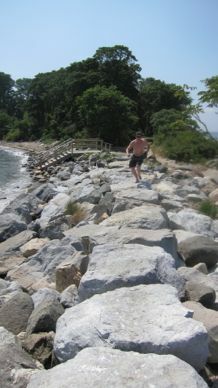 They now have written and photographic evidence that Great Captain Island is a “public” beach even if it’s open only to three determined geo-geeks for a brief moment, to reach the southernmost spot in Connecticut. Wow. I am actively traumatised just reading about such a closed-off place. At least in our uber-rich neighbourhoods up here, they even still pick up hitchhikers once in a while. An epic journey, indeed. Thank you for sacrificing your lungs for our entertainment (and for sticking it to Greenwich). Wow, great story and well written too. I actually felt that I was along for the ride. I would love to for an adventure with you guys some day. 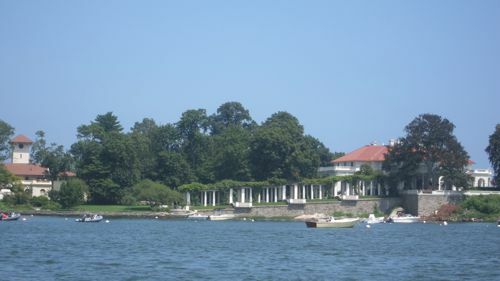 Have you thought about getting to the New York / Connecticut state line divider marker in Greenwich?